"In-Fill Sections" is the catchy name given to glazed panels located in the vertical elevations of the canopy. In-Fill sections are installed after the canopy has been installed. In-Fills are specific to the canopy that they are being fitted to. In-Fills are Made-to Measure for the Canopy they are being fitted to. 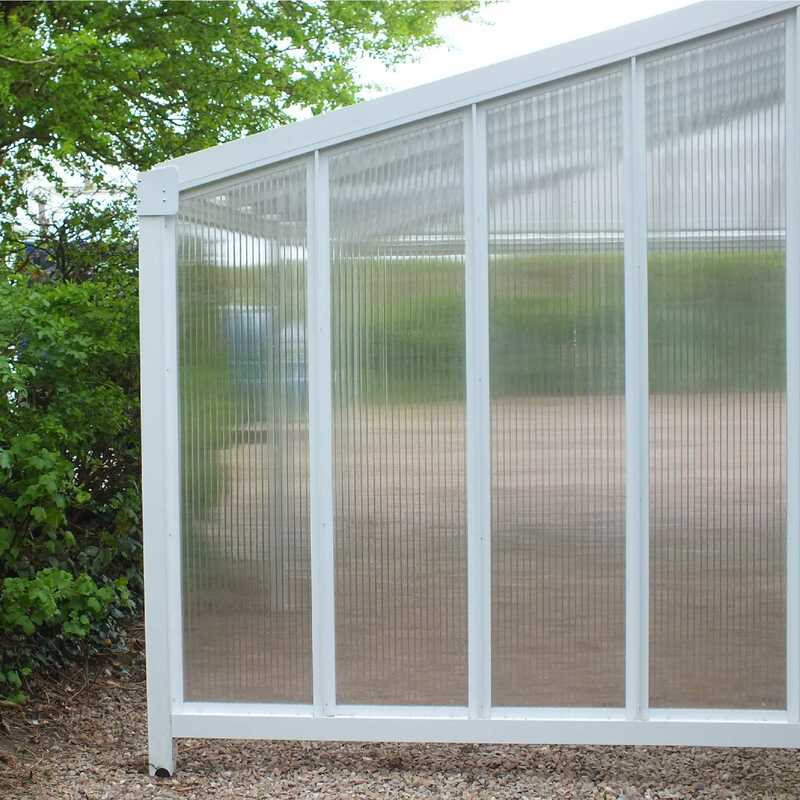 In-Fills are glazed with 16mm Clear, Bronze or Opal structured polycarbonate or 6mm Glass Clear Plate Polycarbonate. Under Eaves In-Fills. These are located directly under the Eaves/Gutter. Top Triangle In-Fills. These In-Fill sections are located at the canopy sides. Full Side In-Fills. These In-Fill sections are located at the canopy sides. Smart Canopy In-Fills are guaranteed for 10 years. Every In-Fill is supplied with a comprehensive, step-By-Step Installation Guide. As well as Omega Smart Canopy Accessories • Glazed In-Fill Sections for Omega Smart Canopy Omega Build supply a range of roofing components such as roof lanterns, roof domes, diy conservatory roof kits, polycarbonate roofing sheets, polycarbonate canopy kits, door canopy kits and much more. I would recommend your affordable products (Glazed In-Fill Sections for Canopies | Omega Build Canopies) to anyone else considering this product, as it has been superb. Omega Build Shop | Glazed In-Fill Sections for Canopies | Omega Build Canopies. You are viewing Glazed In-Fill Sections for Canopies | Omega Build Canopies, buy online today!